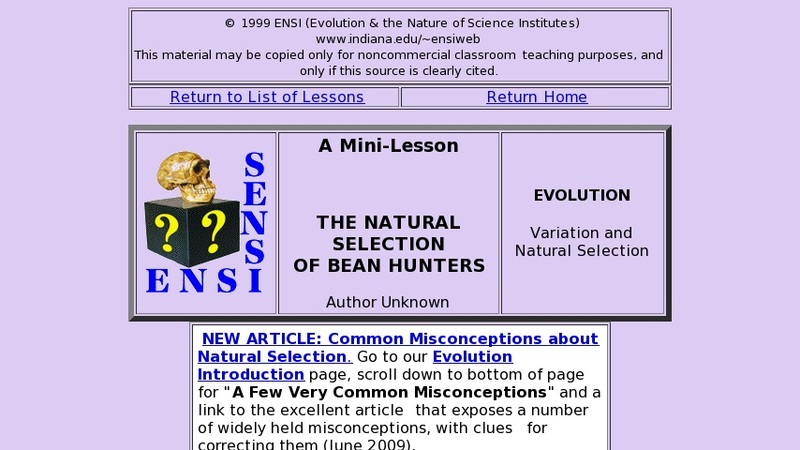 This lesson on natural selection shows students that population characteristics can change as a result of selective pressures operating over several generations. In the lesson, groups of students go hunting for beans in the lawn. Each group has a different tool (e.g. hand, spoon, fork, etc). There are three different colors of beans. The hunting goes for three rounds (generations), with extinctions and reproduction occurring between rounds.